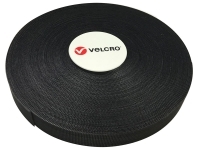 VELCRO® Brand as you know it is the brand name when it comes to hook and loop wraps and straps , however there are numerous different makes, types, styles, colors and lengths of both brand name VELCRO® Brand products and competitors products. 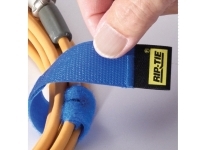 Standard hook and loop VELCRO® Brand cable ties can be used in countless bundling or hanging applications when it comes to cable management. 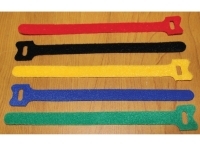 Standard hook and loops VELCRO® Brand ties are available in 5 colors. Standard hook & loop tape is another option for bundling or hanging, however it comes in rolls to allow for custom cutting of lengths. 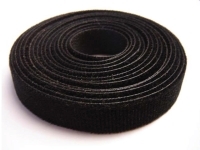 VELCRO® Brand tie wrap straps are available in flame retardant, colored, and perforated options. 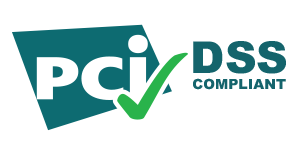 Velcoins® adhesive hook and loop VELCRO® Brand coins are another option if your application requires keeping fixed objects in place.